Ayla Sevilla is the Business Development and Project Manager of Kittelson & Carpo Consulting. 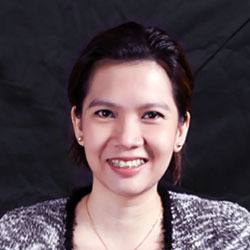 She has over 9 years of experience in identifying potential sales leads and handling customer inquiries on the corporate services that the company provides, from business registration, FDA registration, and PEZA/BOI tax incentive application to HR consulting, recruitment and executive search, payroll processing, and business expansion. Ayla also plans and oversees new marketing strategies based on data-driven analytics, market trends, and success-based methodologies in the consulting industry. She helps the company maintain fruitful relationships with existing and future clients through transparent and consistent communication. She worked as Marketing Manager before acquiring her current position in the company, monitoring marketing campaigns and collaterals as well as coordinating promotional activities such as speaking engagements and sponsorships with partner organizations. She also worked as a Recruitment Manager in K&C, supervising the recruitment team on end-to-end recruitment – from sourcing and shortlisting candidates to conducting interviews, salary negotiations, and contract signings. Looking to establish a corporate presence in the Philippines? Kittelson & Carpo Consulting have incorporated thousands of companies in the Philippines and helped make their incorporation processes run smooth and fast.